Home » Eyebrows » Eyebrow Waxing » Does the Hair Grow Thicker After Waxing? Waxing is a technique or method of epilation that removes unwanted hair from the body. When you remove the hair by waxing, it may seem that the hair will grow back coarser and thicker. But while waxing thins the hair, it doesn’t change its growth rate or thickness. How many times have you been asking your technicians on what methods can you use to prevent hair from growing back coarser after waxing? Right from the beginning of hair removal as a trend, thicker and darker hair have been one of the ‘consequences’ that people fear the most. 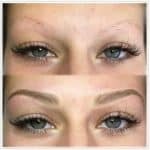 You might also know what is microblading: What is Microblading and Why Choose This Technique. Many mothers are arguing about forbidding their young daughters from shaving or girlfriends warn each other about thick hairs due to depilating creams. But nothing could be further from the truth which is hair removal has absolutely no influence on hair growing back coarser. It doesn’t matter how many times estheticians tell clients this, the myth about waxing can make them grow thicker is still widely spread. 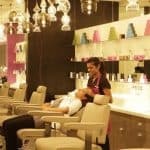 What’s good news for modern estheticians and waxing specialists is that the modern science has provided us with plenty of studies and lectures that prove, with numbers and shreds of evidence, that estheticians are right – regardless of the hair removal products or techniques and methods you use at your spa, thicker hair has really nothing to do with hair removal. Let me give you FACTS about waxing. Waxing is always painful, no matter what. Pulling hair out from the root is going to be painful whether you are waxing, plucking, epilating, sugaring or threading. Most of all it comes down to the individual’s pain threshold but also very important, the technician’s mastery of technique. When we are tired, run down and stressed, life in general, can seem more “painful”. This is no different when having your hair removed. Also 3 days prior to menstruation, we are known to be more sensitive so take that into account. The best way for us to make our waxing experience less painful is to be regular, you will find that having frequent sessions, every 4 weeks, will not only allow you to have a better overall effect but also, it will be less painful for us. But why so specific? It’s because we have 3 different stages of hair growth and each stage grows at the same place. And if our hair only had one stage of growth, then all of the hair would grow together, fall out together and then after a month, re-grow. Can you imagine how often we would be bald because of this? Let’s don’t forget that what happens on our body, happens on our face…just think about our eyebrows! Now, let’s get the facts straight. Hair may appear thicker when shaving especially for the first time but not with waxing. It’s just biology, how our bodies and our hair follicles work. Well, in fact, waxing does the complete opposite with shaving. Waxing regularly makes hair grow back thinner and weaker over time. 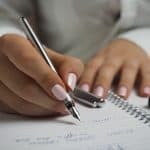 Let me provide you some arguments that will help you educate regarding this common belief of hair becoming thicker after shaving or waxing if you still won’t believe what is written above. Our hair before puberty is thinner. Both boys and girls, hair removal usually beings during puberty, when hair gets darker, coarser, and starts to grow on different parts of the body. Hormonal changes influence thickness and other hair attributes; it’s not shaving that causes darker and coarser hair during adolescence, it’s just normal biological changes that occur throughout those years. Our hair has tapered ends. When hair emerges from the follicle, it grows thin and becomes thicker over time, causing tapered ends. When you shave or use epilating creams, you only remove the hair from the surface of the skin, for example, you trim the thinner end. Hair grows back with a rough end, seeming thicker than before, but it is technically the same. What’s good news is, waxing and other hair removal methods that eliminate the hair from the root allow hair to grow back thin. The span of this phase depends on genetics and body zone—Anagen phase is much longer in scalp hair than leg hair, for example—. Once this stage finishes, the follicle renews itself and “cuts” the hair (Catagen phase). And to finally enter the third phase where follicles rest and hair shed before the cycle starts again and a new hair grows (Telogen phase). One of the long-term advantages of waxing, or other methods that pull hair from the root, is that over time, it weakens the hair follicle, making it less productive. Weak follicles grow weak hairs and eventually, no hair at all. It’s a process that makes take years, but a benefit you would not get with shaving or creams that cut off the hair at the surface of the skin. We may believe in myths sometimes but luckily, in modern science, they can give us a scientific explanation and numerous reasons for this belief. As this article ends, hoping that it can help you to stop believing about this myth and might as well share this to others for them to be aware and educated also.